A young jockey, sweating in the sauna, watched bewildered as a seasoned rider ate incessantly. “I saw him coming into the sauna and the next minute he would be eating, eating and eating, and I would be thinking ‘mother of God, I am in the sauna trying to lose weight, he is eating away at the same time’,” Mr Warren O’Connor, a former professional jockey, recalls for the Medical Independent (MI). The reality soon crystallised: the seasoned rider was “throwing everything back up again”. Self-induced vomiting (known as ‘flipping’) has long been used by some jockeys to meet horse racing’s restrictive weight demands. “When I saw that I was young at the time, and I copied it. But I will tell you one thing, it was the sorriest thing I’ve ever done,” reflects Mr O’Connor. Champion Apprentice in 1990, Mr O’Connor’s career wins included the Irish 1,000 Guineas at The Curragh, the Coronation Stakes at Royal Ascot, both in 1991, and the Eclipse Stakes at Sandown Park the following year. His talent was curtailed by a number of health challenges, often closely connected with the demands of the sport. He regularly competed two stone below his natural weight of 10 stone. When his dieting had totally gotten out of control, his body started shutting down, his energy “completely gone”. In time, Mr O’Connor began using cocaine, believing it gave him the lift he required. On one level, he knew he would get caught; on another, there was a sense of invincibility. Cocaine was introduced to him while riding abroad and was part of keeping his weight down. In 2006, however, he tested positive for a metabolite of cocaine after competing in The Curragh. Shortly prior to the positive test he had retired in the midst of a battle with other health issues. These days, fortunately, Mr O’Connor’s career is more evocative of a redemption story than mere cautionary tale, although both narratives hold important lessons. He is one of two jockey coaches in Ireland to have qualified from a prestigious coaching course run by the British Horseracing Authority (BHA). Mr O’Connor describes a determination to ensure young jockeys avoid the same pitfalls and have access to holistic supports. He credits the support of the Irish Jockeys’ Trust in helping him to rebuild his career. There is “a lot more support” for jockeys these days. However, they still face many of the same pressures in respect of dieting and competing. Their size has grown, yet competition weights have not altered proportionately. “I am five-foot-seven and I was tall for a flat jockey. But they are even bigger now; you don’t find that small little fella anymore,” notes Mr O’Connor. In that respect, he would agree with some rise in the weight structure. He is encouraged by news of the new Horse Racing Ireland (HRI) helpline and plans for greater holistic support for jockeys. Mr Andrew Coonan, Secretary of the Irish Jockeys Association, says poor nutrition is still a big problem but flipping has decreased significantly. He describes jockeys’ hectic schedule of riding out in the mornings, racing in the afternoons and travelling to and from race meetings. The reality is that dietary guidance is difficult to implement and not all racecourses have nutritionally adequate food, despite improvements. The dominant emerging issue is mental ill health. It is “a significant problem” and something “we are only really beginning to identify now”, outlines Mr Coonan. Recent research found that 57 per cent of Irish professional jockeys displayed symptoms of depression, compared with 32 per cent of amateurs. In contrast, a similar study in Australia reported that just 27 per cent of elite athletes displayed symptoms of depression. Some 116 Irish jockeys (74 amateur and 42 professional) aged over 18 years participated in the research carried out by exercise physiologist Dr SarahJane Cullen and exercise psychologist Dr Ciara Losty, both lecturers at Waterford Institute of Technology (WIT). Drs Cullen and Losty found that 64 per cent of professional jockeys with no diet plan had symptoms of depression, compared to 47 per cent of those with a diet plan. Moreover, 67 per cent of professionals who had difficulty making weight suffered from symptoms of depression, whereas of those who didn’t have difficulty making weight, this figure was 52 per cent. The online anonymous survey assessed different psychological health parameters of Irish jockeys and was commissioned by Irish horse racing’s regulatory body, the Turf Club. The decisions of high-profile figures such as Mr Mark Enright and Mr Kieren Fallon to disclose their own experiences of depression has brought the issue into wider public consciousness. There are signs the industry is responding to some degree. Last month, governing body HRI launched an ‘Industry Assistance Programme’ for the Irish thoroughbred industry; it will provide free and confidential telephone and online supports. The Turf Club has been highly active in health-related research, predominantly led by Senior Medical Officer Dr Adrian McGoldrick and Senior Lecturer in Sport and Exercise Physiology at the University of Limerick Dr Giles Warrington. The pair have been joint Co-ordinators of the Turf Club Research Team since 2005. Research backed by the Turf Club has led to changes on health grounds: a 4lb rise in the minimum flat racing weight to the current 8 stone 4lbs took effect from the start of the 2006 flat racing season (it is eight stone in the UK). Moreover, minimum riding weights for apprentices were introduced by the Turf Club in 2013. These are the lowest riding weight at which an individual rider may ride in any race. Weights are, in fact, assigned to the horses based on their ability under the handicapping system that is a key facet of an industry that contributed almost €1.1 billion to the Irish economy in 2012. Weight allocations in Irish horse-racing currently range from 8 stone 4lbs to 10 stone in flat racing, and 9 stone 10lbs to 12 stone for national hunt jockeys. These are inclusive of the saddle and protective wear. Dr McGoldrick, a highly-respected figure among riders, has striven for reforms since assuming his current role in 2008. In respect of the recent research on depression that he commissioned, Dr McGoldrick has asked colleagues in the UK and France if they would consider repeating the study to see if they elicit similar findings. Dr McGoldrick, who is a specialist in occupational health and sports medicine and also works as a GP in Newbridge, is frank in his views on the weight issue. Further reforms in this area are on his agenda, as well as ensuring the advancement of a jockey pathway that would enhance educational, nutritional, fitness and sports science supports. He feels it is “unnatural to have somebody riding two stone below their natural weight”. However, as he acknowledges, significant changes to weights would require some form of pan-European consensus. “I would love to see weight structures go up significantly,” says Dr McGoldrick. He points out that the average population is increasing by a pound every three years and racing hasn’t kept pace. Some 59 per cent of flat and 40 per cent of national hunt jockeys showed osteopaenia in one or more of the total body, hip or spine scans, according to research co-authored by Dr McGoldrick. This study of 27 elite male jockeys in the Journal of Sports Science (Warrington et al, 2009) also reported marked dehydration on an official race day, while 64 per cent of participants cited a current injury at the time of assessment. Dr McGoldrick has secured funding from the Irish Injured Jockeys Fund for a DEXA scanner so that riders can be tracked more regularly. The plan is to scan all 170 professional riders as well as 350 amateurs and monitor bone health annually. Common weight-making practices in Ireland include use of sweat suits and/or exercise, saunas, hot baths and fluid/energy restriction. Drug testing takes place in-competition and rarely produces positives for diuretics. Dr McGoldrick says flipping occurs in Ireland but “not to a great extent”, although it appears to be a particular problem in the UK. BHA Chief Medical Adviser Dr Jerry Hill says prevalence of flipping is incredibly difficult to assess, mainly as it is something jockeys tend not to self-disclose. “There seems to be a definite feeling that, yes, it is happening,” says Dr Hill of the UK situation. “It is probably happening in the younger jockeys; it is quite patchy throughout the country, it tends to be more the flat guys than the jump jockeys. But absolute numbers? It is an imponderable. “The approach we are trying to take is much more to make it unnecessary — so you change the culture. If you want to perform well — you are an athlete, you love your sport — these are the things you will do to do well and achieve your weights. In this respect, he believes sports science and nutrition support for jockeys are key. PathwayIn Ireland, a holistic approach to jockey health, wellbeing, safety and performance has been in-development at the Turf Club: the aforementioned jockey pathway envisages placing Ireland at the forefront of jockey development. Dr Cullen has been pivotally involved in developing this pathway, with Dr McGoldrick and colleagues. She has worked with the Turf Club on providing sports science support to jockeys, particularly to ensure better knowledge of healthier weight-making practices. Having undertaken a PhD scholarship in DCU in conjunction with the Turf Club on jockey health and performance, Dr Cullen noted a lack of structured support and pathway for jockeys as professional athletes in the form of long-term athlete development. This infrastructure has been slow to develop in Irish horse racing and elsewhere for a variety of reasons. The pathway proposal originated in the Turf Club, with the input and involvement of the Racing Academy and Centre of Education (RACE). Dr Cullen says the core idea of the pathway is to “give the right education and support at the right stage of their development”. The approach incorporates technical, tactical, physical, mental, lifestyle and personal capacities. It proposes that pre-licence jockeys would do modules on areas like weight management, nutrition and hydration. Professional jockeys would be required to undertake continuing professional development (CPD). The DEXA-scanning referenced by Dr McGoldrick would form another component. An online element will be important to ensure jockeys can fulfil some of these commitments, due to their often unpredictable working lives. Nutrition will be a core part of the jockey pathway, including individual diet consultations. The idea is that, initially, there will be compulsory modules for those on the cusp of professionalism. Dr Cullen suggests that a radical change is required in how jockeys approach nutrition and exercise. Many “never go to the gym” and when they do, their programme is rudimentary: running on a treadmill in a sweat-suit. It certainly is not “going to the gym to do a structured training session with an S&C coach to improve their performance on the horse,” she observed. There is access to dietary, S&C and sports psychology expertise via the Turf Club. However, jockeys can be resistant to engagement. After all, they have observed successful older jockeys moving through the sport without these supports, and using the traditional means of making weight. The medium-to-long-term health consequences are unseen or just overlooked. “We are just trying to let jockeys know you can eat little and often, and train, and keep your weight down. Whereas what they do, as you can imagine, is often keep eating high-fat foods and then starve themselves when necessary for racing,” noted Dr Cullen. Jockeys are also anxious about the idea of going to the gym and doing weights, not realising that it can help keep their body fat down. In fact, jockeys often have a high body fat percentage in comparison with other elite athletes. “I’d say it is literally not eating, and then eating rubbish, high-fat foods and then not doing any other exercise,” explained Dr Cullen. Commonly, jockeys do not warm-up before a race and their schedule leaves little scope for rest and recovery. Further research is being planned at the Turf Club. It will advertise for a PhD student to explore the effects of chronic dehydration on cognition and balance. Previous smaller-scale research found that the effects were highly individualised. “Some jockeys really went downhill in their reaction time and their balance was completely off; others were fine,” noted Dr Cullen. There could be a protocol in the future whereby a jockey would need to pass certain tests on cognitive stability as well as fitness before being allowed out to race, she speculated. There are also plans to have another PhD student undertake research on the physical demands of the sport, with a view to developing a fitness protocol. ​There is an inherent danger in the activity of horse racing. Thoroughbred racehorses weigh up to 500kg and can run at speeds of more than 60km per hour. The recent passing of the much-admired JT McNamara was a poignant reminder of the risks faced by jockeys. The late Mr McNamara had fractured C3 and C4 vertebrae after a fall at the 2013 Cheltenham Festival. Dr McGoldrick considers the adoption of a more sophisticated Concussion Protocol in 2009 as vitally important. The 170 professional and 350 amateur riders have undergone baseline neuropsych testing. There are about 30 concussions per year arising from approximately 2,000 falls between national hunt point-to-point and flat racing. Dr McGoldrick notes that no system is in place for people who are riding-out in the morning time, so potentially jockeys could be having concussion off-track. However, advice is provided on this issue. Dr McGoldrick has a particular interest in concussion and acknowledges that the science is in its infancy, with a vast reservoir of unknowns. On an anecdotal level, he has seen nothing to suggest that the rate of dementia among retired jockeys is higher than in the overall population. Knowledge is accumulating on concussion. The Turf Club is considering compulsory gum-shields, as there is now research that shows this reduces the risk. 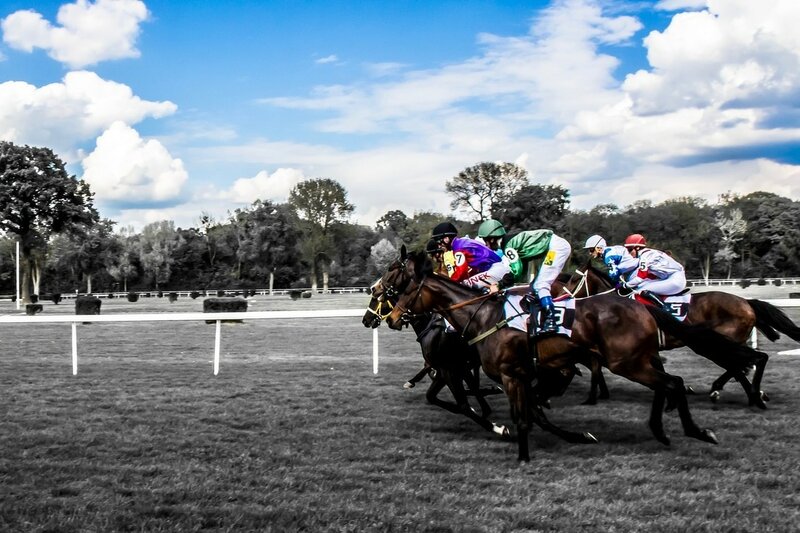 The Turf Club is also participating in an international long-term study to investigate the extent of the link between concussion and chronic traumatic encephalopathy. Given how vocal he is on a range of health issues, one wonders how this ‘goes down’ in the industry. So Dr McGoldrick’s work continues in earnest. There is still “a heck of a lot to do”.